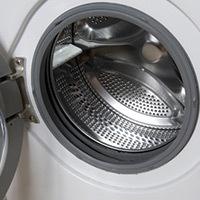 Dealing with a malfunctioning washer and/or dryer can be devastating. Not only can it set you back on your weekly chores, but it’ll make you lose your mind. How? You’ll have to figure out another way to wash and dry your clothes; and, if you aren’t one to head off to the local laundromat, there’s only one other action you can do, call our washer and dryer repair experts in Pepper Pike. Understandably, when your washer and dryer break down, you’ll feel nothing short of useless. You’ll start to feel hopeless; you’ll feel like your laundry is piling up with no end in sight. Luckily, our washer and dryer repair and service experts at Appliance Repair Cleveland have the knowledge, expertise and experience you can trust to handle all of the washer and dryer assistance you need to carry on about your day, washing and drying your clothes like normal. To some, this may be hard to believe: Your washer and dryer will most likely start to break down and or will need to be replaced by year 10. This means that if you’ve owned your washer and dryer for the past 10 years, it’s time to get out of the house and look for a new one! However, we understand if you can’t afford to purchase a brand new set right this second, which is why we’re standing by waiting for your call. If you would like to save some money and are on a tight budget, our washer and dryer repair technicians can come to the rescue. Bad water pump. If it’s your washer give you a hard time, it may be because the water pump has gone bad. A bad water pump will most likely spring a leak and if you don’t deal with the leaky pump, you’ll only experience bigger problems, such as mold and mildew growth in your laundry room. However, not every time does a bad water pump cause leaks; your washer may simply not be circulating water within the machine correctly. Our washer repair experts can help! Bad motor. One of the most common reasons a washer and/or dryer may need to be repaired is because of a faulty motor. If the motor is bad (or 10-years-old), it is considered weak and won’t be able to handle its expected duties. If your washer and/or dryer seem to start its duties without a problem but can’t close the deal, it’s likely you’re dealing with a bad motor. Bad belts. A loud and squeaky wash room is a sign your washer and/or dryer has a bad belt or two. However, a loud wash room isn’t the only sign; if your washer and/or dryer won’t spin forcefully enough to wash or dry your clothes, it’s time you call our appliance repair crew for help. Bad gaskets and seals. Gaskets and seals are what make your washer work flawlessly. If one of these is broken with a crack, it may cause your clothes to not fully be washed clean and the dryer will most likely leave your clothes soaking wet. If you’re experiencing this issue, give us a call! Bad thermal fuse. A bad thermal fuse can cause your dryer to overheat the clothes within it, causing the clothes to shrink, burn up and cause damage that’s irreversible. However, it can also make of drying your clothes non-existent at all. If you’re noticing super soggy or super hot clothes, it’s probably because you’re dealing with a faulty thermal fuse; our experts can be of service! 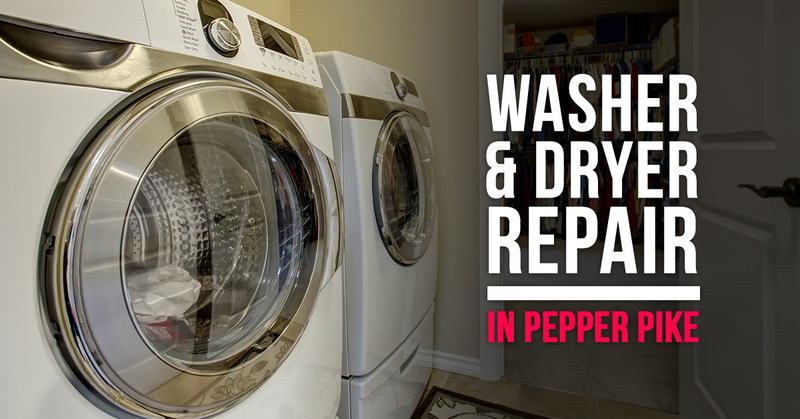 Call Pepper Pike’s Leading Washer & Dryer Repair Techs Now! If you’re searching for a reliable washer and dryer repair crew that can help solve all of your laundry issues, it’s time to give Appliance Repair Cleveland a call.